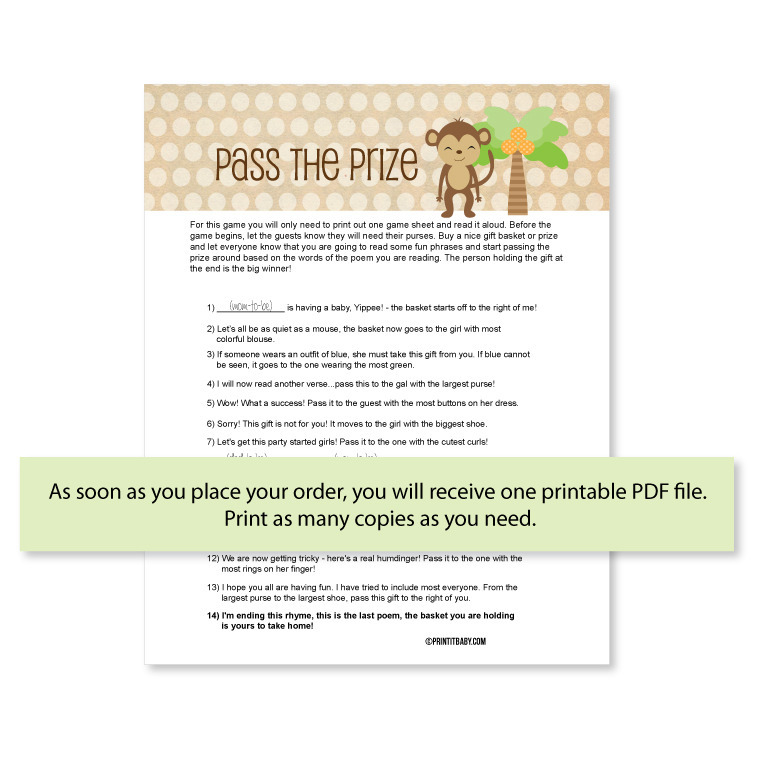 Monkey Baby Shower Theme | Jungle Cakes, Ideas, Decor and Games! You'll be swingin' from vines when you see the cute monkey baby shower ideas we've come up with! Monkey safari diaper cake ideas, monkey decorating inspiration and so much more! Monkeys are all the rage - cute, versatile and perfect for a baby shower! If a little monkey is on the way, you will love these decorating ideas! Also perfect for a "Jungle Baby Shower!" • First, choose your colors - depending on gender, you can go with brown/pink, brown/blue, brown/yellow, brown/green - they all look cute and fit with the theme. • You can decorate by having monkey-related children's books on tabletops, counters and in baskets. Curious George books are perfect! Then give the books to the new mom as a baby gift! Click over to see some adorable monkey cakes submitted by our talented readers! So cute - and original! Add these cute Hershey's Kiss Labels to kisses and place in candy bowls, or bundle up in cute favor bags and give away as baby shower favors. 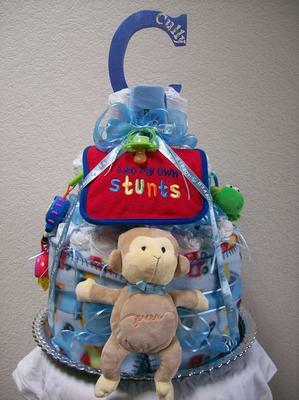 Take a peek at our cute Jungle, Monkey Diaper Cakes! 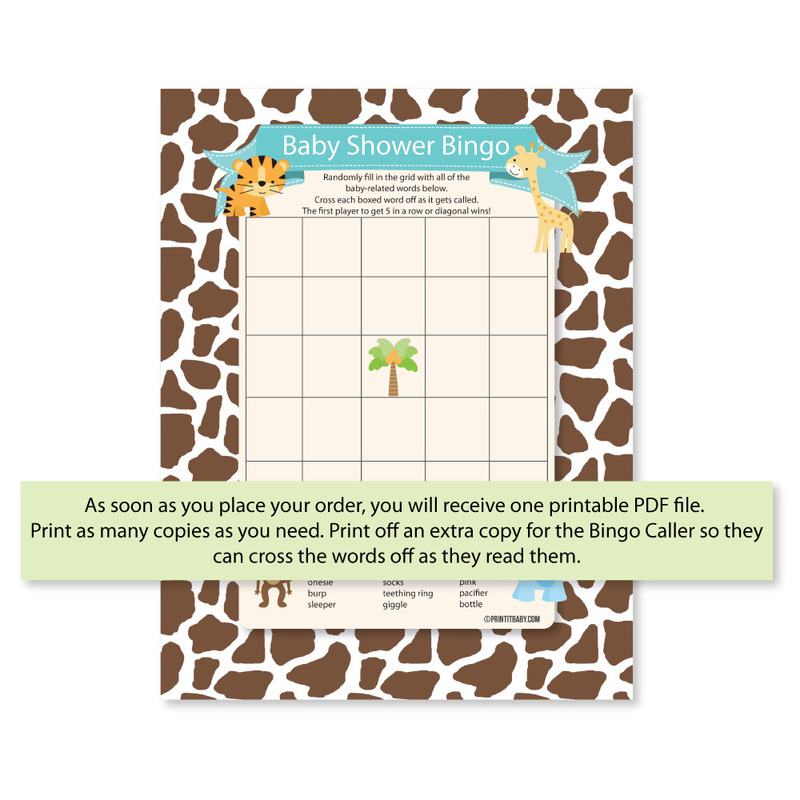 See our popular "Safari Baby Shower Theme"